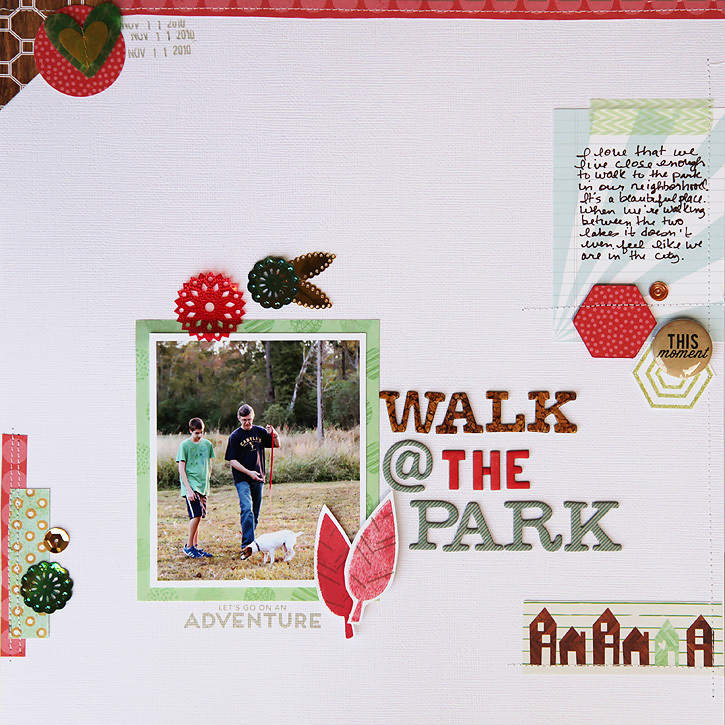 I have a few more layouts to share today all made with Studio Calico's September kit, Central High. 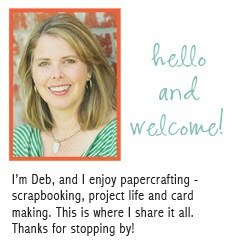 I've been scrapping way more than I've been sharing so look for a few more scrapbooking posts soon! These photos are from Thanksgiving weekend two years ago. I couldn't believe when I was leaving my driveway what I saw in the clouds. Alec and Mason both said they thought it looked like a rocket, but I see a bunny. Another fall photo from a couple of years ago. And the traditional first day of school photo! That bunny cloud is so cool! Thanks, Tamar! I was so excited when I looked up and saw it that day and thankful for my iphone! 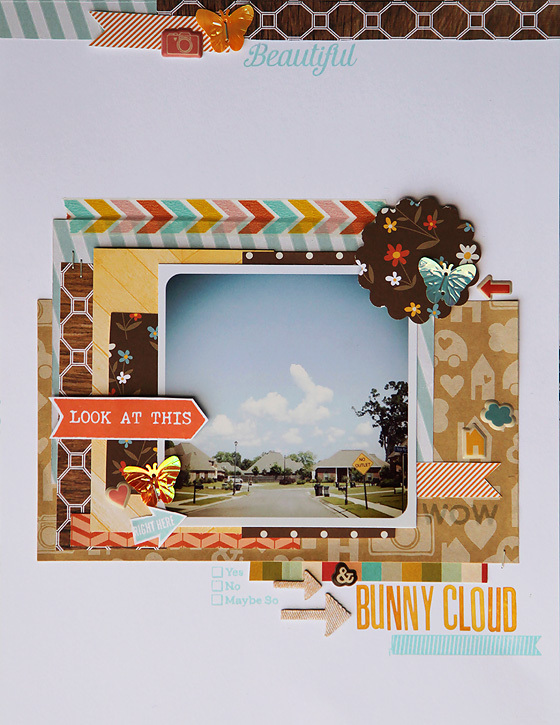 I love the bunny cloud, and how you used this collection for camping, I hadn't even thought of that. We are going camping this weekend, so I will keep that in mind. I cannot believe how big your boys are, they must be super tall, at least they look tall in the photos, I bet they are both even taller than you. You made me laugh wondering if my boys are taller than me! They are 6'1" and I'm 5'6" lol (and I think the younger one is still growing). It's been a while since I was taller than them, but it still felt funny looking at our vacation photos this year and seeing how short I look next to them! oh!! love love everything! great layouts! and that bunny cloud is amazing!! Great layouts! Yes, I love the bunny cloud too! Ooooh, those are so cute! Love your choices, Deb. I just love these LO's. gorgeous colors and design! Could look at these all day long! I love these all. I also love how consistent your style is, while keeping each layout fun and unique - if that makes any sense! 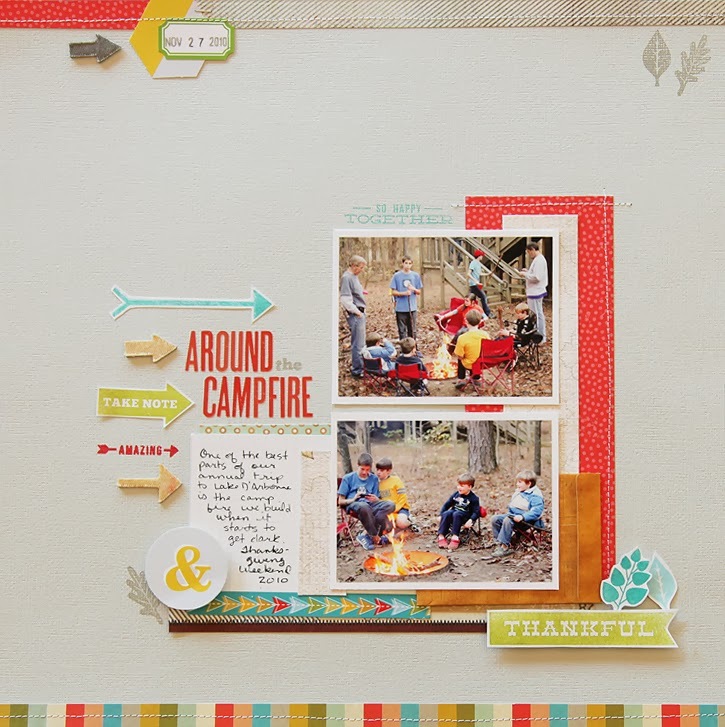 I can always pick your layouts out of the gallery, and they always wow me!